8 Switch is comprised of some of the cities hottest young players combining talent and creativity with an unmatched love for performing to make music from their souls. Smattering all their songs with a unique, tight and funky foundation, the band artfully jams through multiple genres including ska, southern funk, and hip hop. 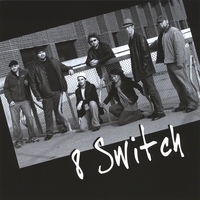 All the members contribute to the song writing and arranging process, and the members' varied musical backgrounds and experiences help make 8 Switch's repertoire eclectic and fresh. 8 Switch has the rare combination of tightness and improvisational fluidity that creates solid precise grooves that can turn on a dime into something completely fresh and new, and keep audiences on the floor dancing all night. The individual members have been active in the Midwest music scene by playing, recording, jamming, or sharing the stage with such artists as Root City Band, Corey Stevens, Dr. Mambo’s Combo, Jelly Bean Johnson, Heatbox, Bobby Vandell, Willie Walker, Billy “Big Daddy” Cade, Jesse Lang, Desdamona, Omar Bliss, members of the Steve Miller Band, the Funk Brothers and many others from the twin cities and around the nation. All About Jazz musician pages are maintained by musicians, publicists and trusted members like you. Interested? Tell us why you would like to improve the 8 Switch musician page.